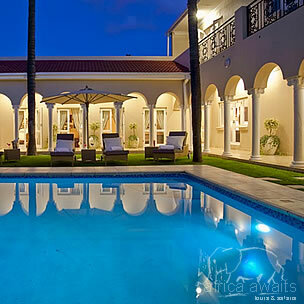 Our exquisite boutique hotel is grandly situated on the famous Herbert Baker street in Pretoria. Boasts breathtaking views of the city whilst offering an elite clientele the luxury of exclusive accommodation in the privacy they require. First impressions count..., but it is the lasting ones that memories are made of! Situated on Herbert Baker Street. 131 Is five minutes drive from Pretoria's CBD and all major highways are easily accessable. Within close proximity there are the top shopping malls, Restaurants, Golf courses, Gyms, Hospitals, Embassies, Government buildings, Game parks and Entertainment venues. Luxury knows no bounds when it comes to our equisite presidential suite. blending a fine mix of elegance with class, this suite comes complete with a butler 24 hours who will attend to every detail of your stay. There are seven individually appointed luxury bedrooms with private balconies and breathtaking views. 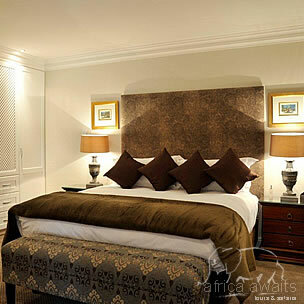 The rooms are beautifully furnished in an understated elegance. Each room has large, comfortable beds (extra length king-size or extra length single beds (twin option available upon request), fine linen, telephone, wi-fi, tv, air-conditioning, hairdryer, mini bar and digital safe. Luxurious gowns matching slippers range of amenities complete a stay that surpasses a five star experience. Ristorante Grissini, our restaurant is an exquisite feature of our hotel with an amazing view. A full english and continental breakfast is included in our rate per day. 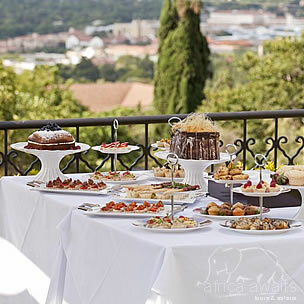 Lunches and dinners will be prepared by our gourmet chef upon request and special dietary requirements will be catered for, with prior arrangement. High tea will also be served in the afternoons, or upon request. With your holiday, safari or business trip from in to 131 Herbert Baker in Gauteng.